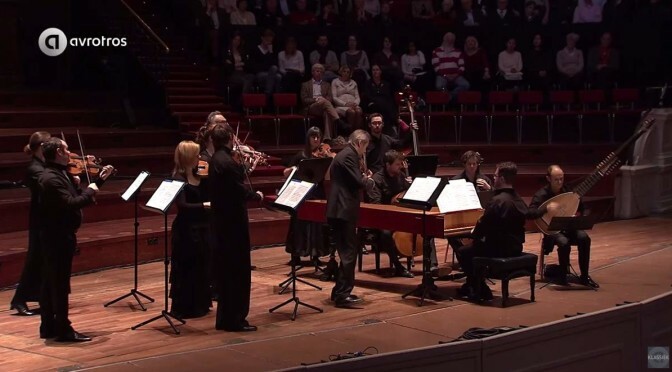 The Basel Chamber Orchestra (Kammerorchester Basel) plays Antonio Vivaldi’s Il gran mogul (The Grand Moghul) concerto for violin (RV 431a), written in the late 1720s or early 1730s. Giuliano Carmignola: conductor and violin. January 4, 2014 at the Concertgebouw Amsterdam, Het Zondagochtend Concert. The Kammerorchester Basel (Basel Chamber Orchestra) performs Pyotr Ilyich Tchaikovsky’s Serenade for Strings in C major, Op. 48 at the Grote Zaal concert hall, Amsterdam. May 18, 2014. Kammerorchester Basel (Basel Chamber Orchestra) plays Wolfgang Amadeus Mozart’s Sinfonia Concertante for Violin, Viola and Orchestra in E-flat major, K. 364 (320d). Violin: Vilde Frang, Viola: Nils Mönkemeyer. On May 18, 2014 at Grote Zaal Concertgebouw Amsterdam.